Bethesda Game Studios, the video game developer behind last year’s epic role-playing game Fallout 4, has announced that the second piece of DLC for their game will be released on April 12 this year. This second DLC follows in the heels of the Automatron DLC which the company put out last month, and was about building and customizing robots in the Boston wasteland, and dealing with a sinister enemy known as the Mechanist. That DLC had a bit of story thrown-in involving the aforementioned villain, and new dungeons to explore, but it looks like this upcoming Wasteland Workshop DLC won’t add to Fallout 4’s story though. The Wasteland Workshop add-on will instead focus on settlement building as seen in the trailer above, adding new building options like traps, tiling for floors, and also new furniture and even what looks like lava lamps in the trailer. There’s also a “decontamination arch” which will likely allow players to remove radiation from their bodies (and will help avoid tedious visits to the doc) and also a “beta wave emitter”. This will make creatures like Mireluks docile so that they won’t attack your settlers, which will sure come in handy as this DLC allow players to trap Wasteland creatures and fight them in arena, in what looks like a Pokémon inspired feature in Bethesda’s DLC. So it seems this Wasteland Workshop DLC will mostly appeal to those who enjoyed the settlement building aspect of Fallout 4, but those looking for new, big quests that flesh out the Fallout universe will have to wait until the release of the Far Harbor add-on, which according to Bethesda’s official website comes out this May. 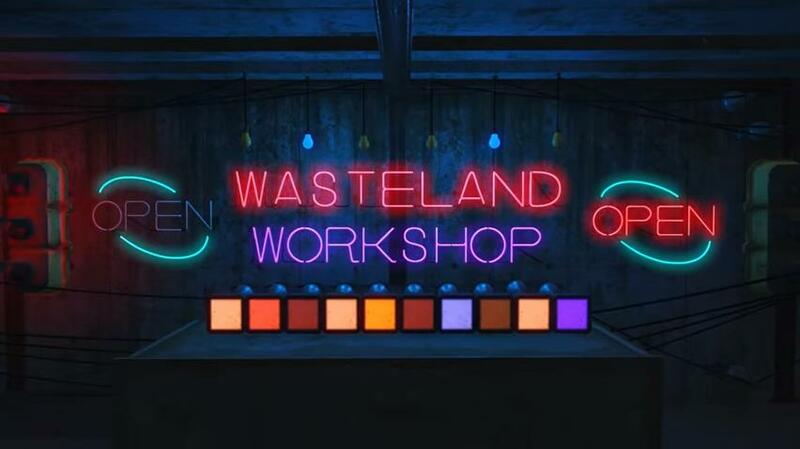 Note: The Wasteland Workshop DLC for Fallout 4 will be released on April 12, 2016. Available on PS4, Xbox One and PC.